On the other hand, you might want to give a gift card to a nearby grocery store. Tuck it in a card with a note like, “Get yourself something delicious!” Put the card in a reusable shopping bag, and add a bow to the bag. Perfect! Tempt them with a themed food gift: fancy soups like lobster bisque or clam chowder with gourmet crackers or cheese straws, a breakfast basket with fruit and homemade baked goods or a box full of their favorite snacks. 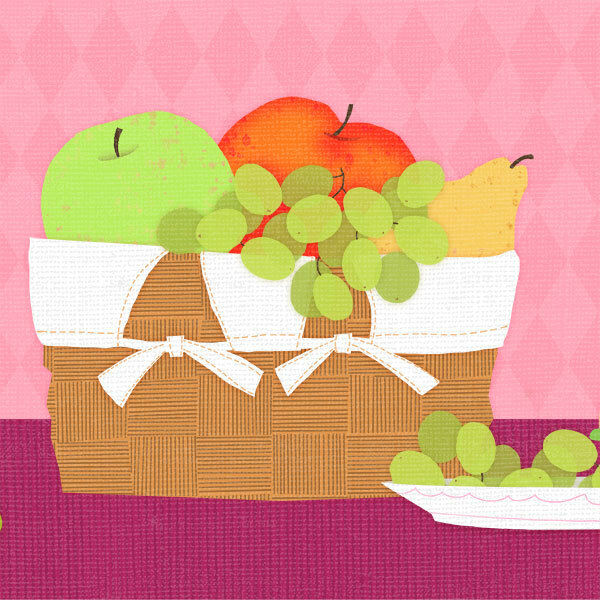 Send them a gourmet fruit basket—or go in with some family members for a club membership so they get some every month. A family can go in together on a once-a-week or once-a-month cleaning or yard-care service to do the work for your favorite person. Seriously, who wouldn’t like that? Talking alarm clocks and watches, remote controls with large numbers and large print books or audiobooks all make good gifts. If you’re buying a gift for someone who likes books, you might also consider an ereader, which you can preset to the largest font size. Any book can be a large print book! Amplified telephones can mean a big change for the better. Wireless listening systems for TV can also be used at thousands of properly equipped movie theaters across the United States. These conditions can make everyday tasks frustrating. Electric toothbrushes, electric shavers, one-touch desk and table lamps and automatic jar openers take away some of the hassle. A few companies make touch-tone photo phones. You can put pictures of the closest family members and friends right on the buttons, making it much easier to dial. This is helpful for people who have trouble with their hands, too. If the person you love can’t get out much, or doesn’t have friends or family close by, loneliness can be a serious problem. Luckily, there are lots of gifts that can help! E-tablets are expensive, but again, they can be outstanding group gifts if you can show the person how to use it. If one of the kids can teach them how to play the latest game on it, even better! Despite what they say about old dogs not learning new tricks, lots of senior citizens can get the hang of texting or popular word games, which can keep them connected. And with services like Skype or FaceTime, they can stay connected to you with video calls and chats. In many towns, small businesses offer “haircut house calls,” where a stylist comes over to shampoo, cut and blow-dry a person’s hair. Some even offer other services, like hair color or manicures. Just make sure the provider or company has good references. This is a great way to give someone an immediate psychological lift and give her some company during the day, too. You can give someone you love a digital photo frame that allows you to email new photos directly to it all the time! They’re simple to set up and can play a never-ending slide show of smiles from grandkids and other very important people. People could also pitch in on an “…of the Month” club. There are dozens of choices: plants or flowers, muffins or cookies, coffee or beer, even yarn or socks! These services offer someone a new surprise every month, along with a reminder that they’re loved. You’re the best gift you can give. Sure, that’s a cliché, but it became a cliché because it’s true. A weekly or even monthly visit—or a card or letter, if you live far away—can mean a lot to someone. What’s even better? It’ll make you feel good to do it, too!